Interstate 640 provides a bypass around Downtown Knoxville for travelers along I-40. The urban loop overlaps with Interstate 75 for 3.5 miles between I-40 at Marble City and I-275 at Inskip. The freeway generally runs along the north side of Sharp Hill. It crosses the hill by Knoxville Center mall at Washington Pike. 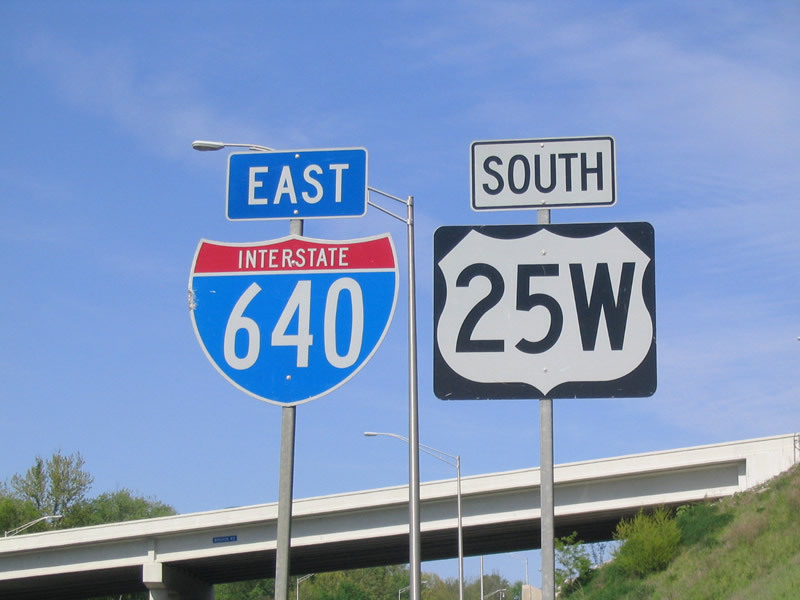 Prior to 1982, Interstate 75 followed I-275 south to I-40 directly by Downtown Knoxville. The route was realigned along side I-640 to shift through traffic away from the city center.